A' Design Award and Competition incorporates a politeness policy that governs the inter-relationships between its producers, prosumers and consumers. The politeness policy play an important role in maintaining a positive experience for our users as well as employees. The politeness policy and the autodesigner concept are very important and fundamental to our business, they are like bylaws that explains how our people should behave. Especially our autodesigner policy is rather relevant for our staff, but it could indeed be a guide for anyone. Politeness means having or showing behavior that is respectful and considerate of other people, its synonyms include but not limited to well mannered, civil, courteous, respectful, deferential, well behaved, well bred, gentlemanly, ladylike, chivalrous, gallant, genteel, cultivated, gracious, urbane, well brought up; tactful, considerate, thoughtful, discreet, diplomatic, mannerly as well as a simple smile and emphatic state of mind. We wish our communication to be civilized, refined, cultured, sophisticated, genteel, well bred, urbane, elegant, courtly, and we respect our users, our co-workers, consumers, clients and general audience. Our code of conduct is created so that we remember our foundations. What do we expect from our workers, co-workers, colleagues and staff? 1. Love. 2. Loyalty, is faithfulness or a devotion to our cause, that is the advancement of society by pushing the limits of science, design and technology, by promotion of good design as well as by creating incentives for designers worldwide to come up with superior products and services that benefit society. To accomplish our goals, we need to be sustainable and economically independent as well as strong. 3. Honor, is an abstract concept entailing a perceived quality of worthiness and respectability that affects both the social standing and the self-evaluation, for example this is about keeping promises, being fair, having personal integrity, having nobility of soul, virtuous conduct, magnanimity, having gentle politeness and courtly manners. 4. Wisdom, is the ability to think and act using knowledge, experience, understanding, common sense, and insight, for us this is about taking informed decisions with a serene mind, keeping cool, and acting with a good state of mind. This is also about Prudence, the ability to govern and discipline oneself by the use of reason, and it also relates to Temperance, moderation or voluntary self-restraint in case of hot topics, as well as Justice and being fair, to accept ideas, concepts and thoughts that does not necessary inline with yours as long as they are logical, true and valid, we want our staff to be nice towards our audience, to understand them good before engaging in a communication, avoiding conflict whenever possible. 5. Frugality, is the quality of being frugal, sparing, thrifty, prudent or economical in the consumption of consumable resources such as food, time or money, and avoiding waste, lavishness or extravagance, we want our workers to have tendency to acquire goods and services in a restrained manner, and resourceful use of already owned economic goods and services, we want our staff to show the same tendency towards our clients, for example if there are campaigns or discounts that a consumer is eligible, our staff should let them know, so that they can save on their valuable resources. When we communicate with each other, we wish to follow the following politeness and communication principles: 1. Relevance and Immersion – We shall listen each other carefully. 2. Impartiality, Great Consideration, Depth of Understanding, Sensitivity and Completeness – We should try to understand each other with great care and empathy, as well as following any evidence and information. 3. Confidentiality – In case of complaints we wish both parties not to disclose anything publicly. 4. Accessibility and Informed – If a decision is taken, this decision shall be informed. 5. Equity, Politeness and Kindness – We wish to ensure equal, fair and polite treatment to all people during communication. 6. Logic and Emotion – We shall question our own actions and you shall question your own actions, motives and decisions. We need to reconsider always, we need to understand unique scenarios, motives and situations. 7. Simply be nice, hardworking and be constructive. What do we want our users to expect from us? 1. We expect our users to trust us for any issues, our contacts form is open for you, we want you to tell us or even complain anything you want or do not want, if you tell us in a kind and polite way what you would need, we would be very happy to do our best to solve your issues. 2. When the contact person does not help you, you can keep complaining or contacting to us, as long as you are polite we would not consider that an harassment unless of course we would let you know so, furthermore our contact email is often read by the managers as well as our internal control processes so you can rest assured that your voice will reach upper management. 3. We try to respond all questions and needs within the same hour or day and in most cases within a week, however there are periods when there are too many inquiries and entries and there could be many urgent issues to attend to, so we want you to be patient, we answer almost all inquiries within a reasonable amount of time except when they are mere statements, but sometimes we can reply late, really late and we apologize if we reply you late, there have been cases where we replied two or three months late, but we always reply, you should keep that in mind, and if we did not reply you in a timely manner, you are very welcome to send a second or third communication for instance within seven days of your original communication so that we can understand its urgency. 4. We expect you to expect the best from us, and we want to treat you with utter respect and attention. 5. Fairness, there are some things that we simply cannot do no matter how polite you may be, the very first of these things is the manipulation of award results, when such requests occur we first try to ignore them as if they did not happen and when you might insist about such issues we might disqualify you or cease contact. What do we expect from our users under our politeness policy? 1. We expect users to read carefully the material provided at our website, such as the guidelines for presentation, or the frequently answered questions before contacting us, so that we could have more time for other beneficial activities such as promoting laureates or improving our platform. 2. We expect the users to respect the competition terms and agreements. 3. When there is any sort of negative experience or issues, we expect the users to contact us before contacting third parties. 4. We expect users not to take part in a) illegal activites, b) malicious and deceptive practices, c) hate speach, d) exploitation, abuse, e) manipulation, circumvention, f) harrassment, bullyting, threats, bad language, violance g) impersination, multiple accounts h) anything else that would be considered rude towards us or others. 5. When you are contacting us, in any way, we want you to be polite towards our contact service which employes overqualified people with great achievements, education, and culture. 6. Please be kind to our support team and our staff, they are nice, educated people, with families, they are ready to help you. Virtues our staff should achieve – the way of autodesigner. 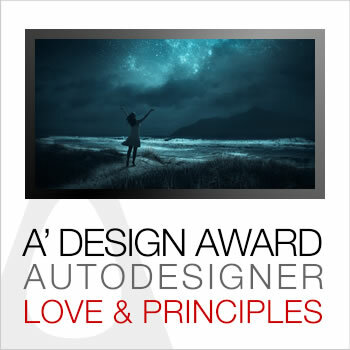 A' Design Award defines the autodesigner as a person or entity who redesigns himself, trying to become a better person that creates value for the society. We want our staff to redesign or reprogram themselves based on the following laws: 1. Never to lose the way of autodesigner which is 2. To be good and loyal to our company that sustains us, 3. To be good and benevolent to our managers who cares us, 3. To be good and respectful to our clients who supports our existence, 4. To manifest highest virtues, honor and wisdom towards society that surrounds us. We further want our staff to achieve: Auctoritas – "spiritual authority" – the sense of one's social standing, built up through experience – know your place and act accordingly, that means be nice to managers and be nice to your staff. Comitas – "humour" – ease of manner, courtesy, openness, and friendliness, that means do not sue everyone for little things, be relax, if you do not like a manner, tell the person or the superior. Constantia – "perseverance" – high stamina, as well as general mental and physical endurance in the face of hardship which translates to being hard working. Clementia – "mercy" – mildness and gentleness, and the ability to set aside previous transgressions, if someone apologize show mercy, be forgiving. Dignitas – "dignity" – have a sense of self-worth, personal self-respect and self-esteem, - we do not tolerate bullies, let us know if someone is rude, share your ideas without fear. Disciplina – "discipline" – follow our rules, be on time and keep promises. Firmitas – "tenacity" – strength of mind, and the ability to stick to one's purpose at hand without wavering, let our management know about what you think, do not keep the ideas to your self. Frugalitas – "frugality" – economy and simplicity in lifestyle, the company is a source of income, like a garden, do not try to rip more fruits that you need, be sustainable. Gravitas – "gravity" – a sense of the importance of the matter at hand; responsibility, and being earnest, give importance to your job. Honestas – "respectability" – the image that one presents as a respectable member of society, be proud of your job. Humanitas – "humanity" – refinement, civilization, learning, and generally being cultured, keep learning. Industria – "industriousness" – hard work, and be nice!. Iustitia – "justice" – sense of moral worth to an action, do not use your power or position in an incorrect manner. Pietas – "dutifulness" – respect the corporate culture. Prudentia – "prudence" – foresight, wisdom, and personal discretion, be smart, be intelligent, choose to act in a smart way. Salubritas – "wholesomeness" – general health and cleanliness, come to work neat, wear nicely, take care of yourself. Severitas – "sternness" – self-control, considered to be tied directly to the virtue of gravitas, do not let the anger get better of you. Veritas – "truthfulness" – honesty in dealing with others, be really nice to your coworkers, as well as our clients, approach them sincerely and with an open hand. Virtus – "manliness" – valor, excellence, courage, character, and worth. Be a man, women or anything, but be a human. Show loving-kindness towards all; hope the best for your coworkers and clients. wish well to others; be happy. Show compassion. Share, show altruistic joy and sympathy, when a coworker gets promoted be happy for them for example, drive happiness from others success because remember you are part of this group and their success makes you more successful since you are part if the group. When conducting with clients and coworkers demonstrate generosity of time, morality and proper conduct, enthusiasm, energy, diligence, vigor and effort, patience, tolerance, forbearance, endurance, truthfulness and honesty, determination, resolution. Be skillful, try to improve yourself, become a better person, be genuine good. Sometimes you might need to be silent, avoiding gossip or conversation, you might require order and differentiate between work and outside work, business have its time but you must also focus on family, you need to have a happy family, achieve tranquility sometimes, keep time for yourself, keep your space, do not procrastinate, lose no time, achieve your goals, follow your ideals and aim for resolution, meanwhile be objective and show humility. Being humble is the act of lowering oneself in relation to others, or conversely, having a clear perspective and respect for one's place in context, it is for example not showing of with your position or not using your administrative privileges or position against others let them be coworkers or clients. We are absolutely wanting you to report rudeness to us by filling our contact form which is saved and cached and as explained often read by managers to oversee the process. We do unfortunately have to tolerate rudeness sometimes, because one of our virtues of politeness and kindness is about forgiving, and also about being easy-going, accepting people for how they are, some people will be too much sincere and some will have strange humor and we have to accept these people as they are, otherwise we would be living in a dystopian culture that assimilates differences and we absolutely do not wish to do so, however likewise we also absolutely want to ensure that any rudeness does not repeat. When you report a rude behavior, we will let the person you reported know that you reported a rude behavior against the person, and this is required so that the person could know his behavior is not welcome in some occasions and so that the person could stop and reflect on self to improve, furthermore when possible we will also ensure that this is noted and we will try to ensure that the person you reported do not take part in activities that govern you, if this person has the power to make a decision against you, we will also remember and keep in mind that this decision could indeed be effected by the initial report, and we will oversee any such decisions with more care, and we would be more open to discuss or appeal such decisions even though we would not guarantee it, we cannot guarantee it as we know unfortunately there would be entities that use the politeness policy against the system. 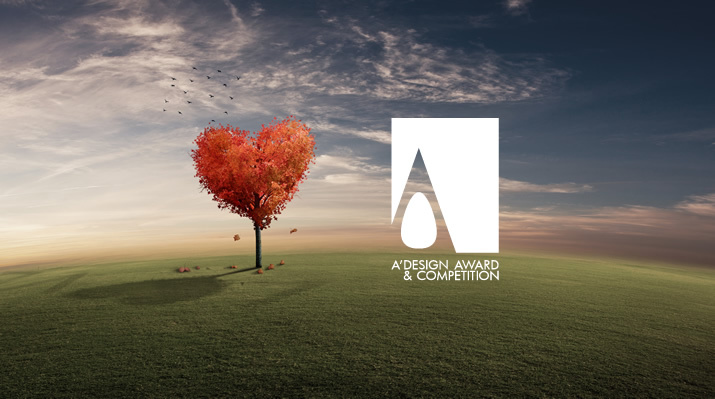 The A' Design Award and Competition gives importance to your well being, we want to be kind, polite, caring and relevant to you, we wish to take the best care of you, and you can contact us anytime.